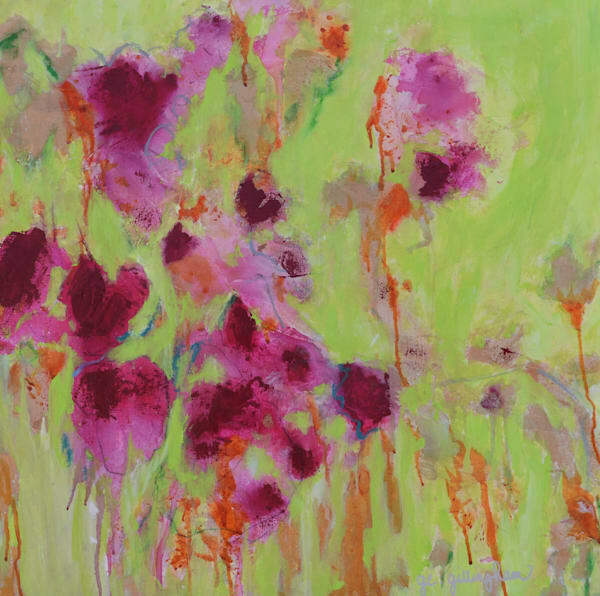 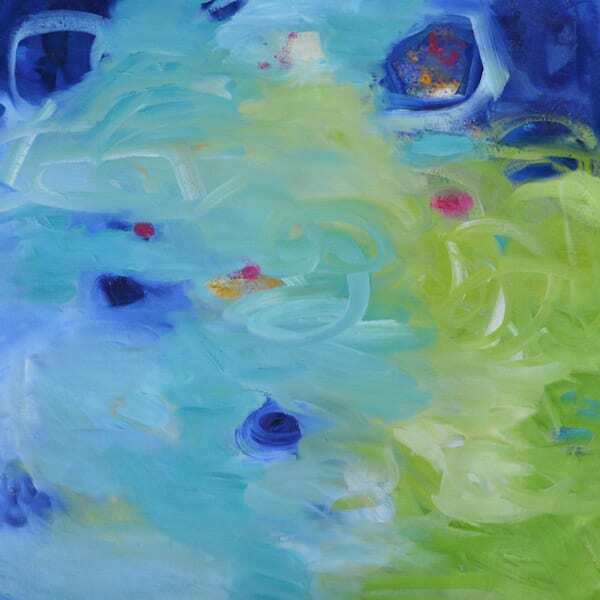 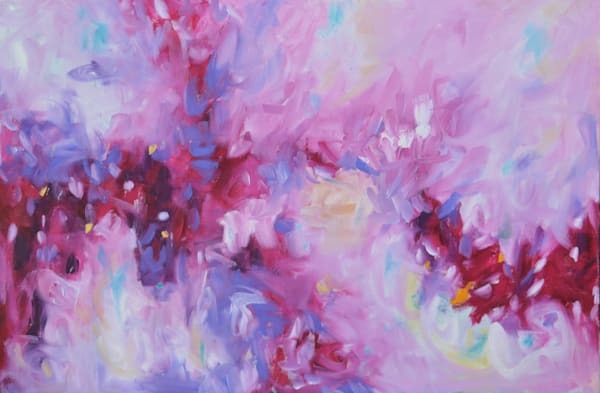 Bright and cheerful abstract paintings, including flowers by Geraldine Gillingham (aka. GG). 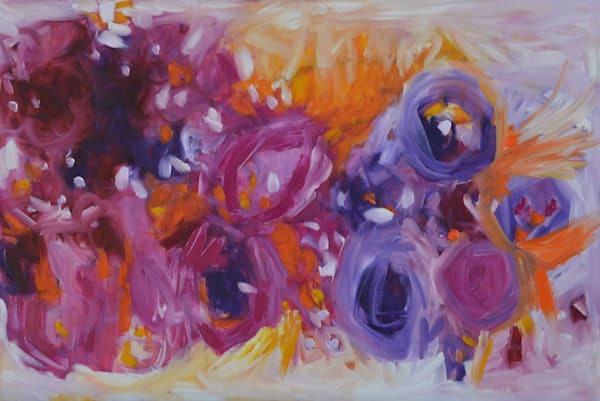 After a long and rewarding career as a teacher and guidance counsellor, Geraldine returned to her true passion for colour and self-expression. 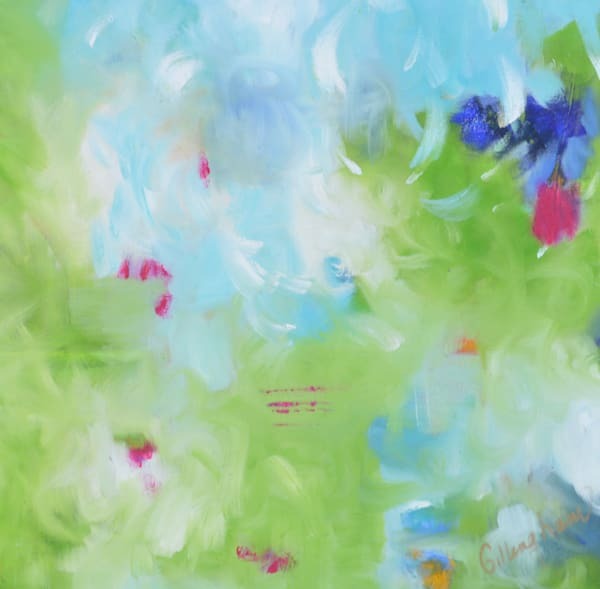 After much consideration, she retired from teaching to paint full-time, and never looked back. 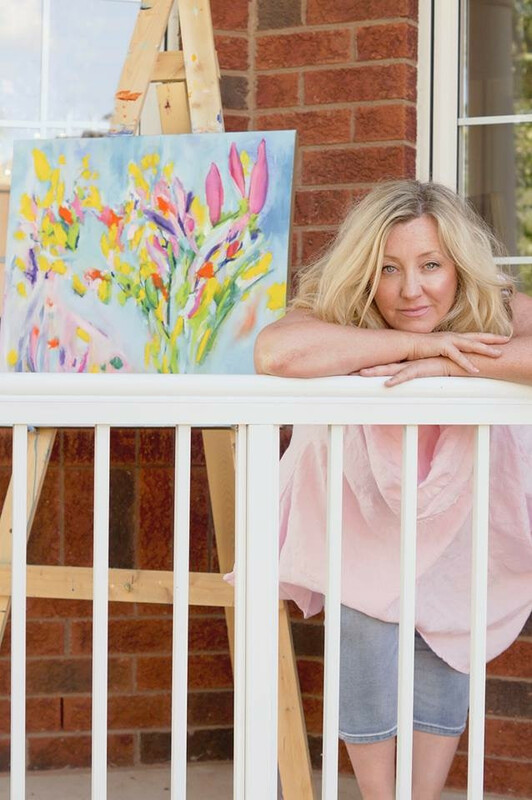 Primarily self-taught, Geraldine has taken many courses and private lessons from a diverse group of professional artists in Ontario. 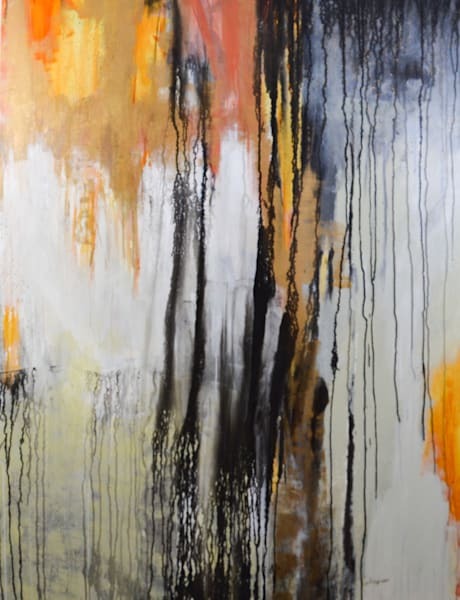 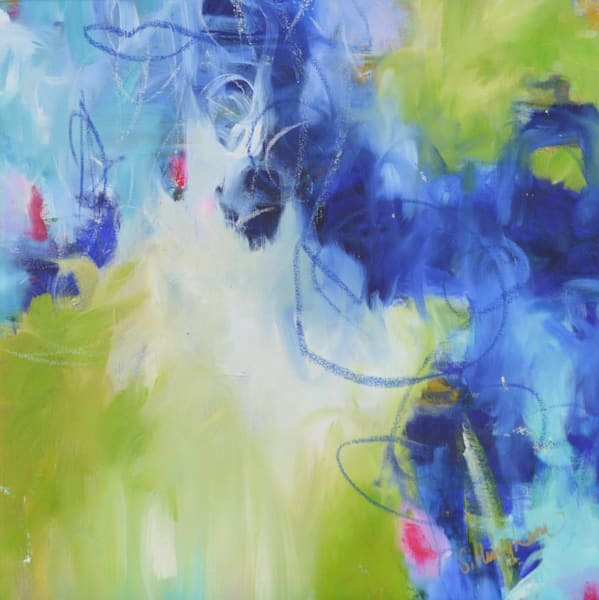 Painting is an intuitive process for Geraldine, where she lays down marks with pastel, charcoal, and acrylic dips and pours, then adds layers of luscious saturated oils to reveal joy, movement, and excitement in each completed work. 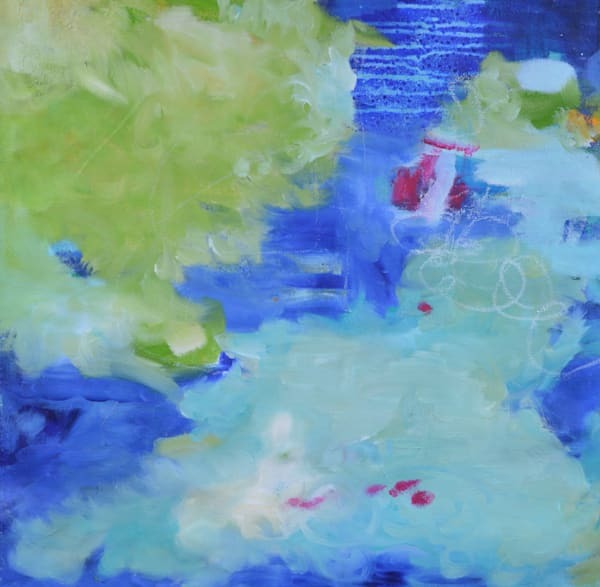 Geraldine's work is constantly evolving, inspired and influenced by her surroundings, nature, and memories of her childhood home in Newfoundland.